Our doors are wide open if you are looking for insurance in Sunrise, Florida. 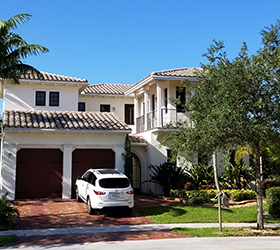 We have always felt a close connection to people who reside in this unique Broward County city, and we consider ourselves to be locals helping our neighbors protect their interests. From the Harrison Parkway/Sunrise Boulevard section to the W. Oakland Park Boulevard and NW 60th Avenue area, for affordable insurance in Sunrise, Florida Knight is the only name you need to remember. Owning a home in this community is a dream come true for many people, but home insurance can be quite expensive. You certainly have to carry the appropriate level of coverage to protect your investment, but at the same time, you don’t want to pay a penny more than you have to for your homeowners insurance. If you are like most people, you don’t have the time and inclination to contact a dozen different insurance companies to compare quotes. This is where we can enter the picture to save you a good bit of money. Our agency has developed relationships with a number of different highly respected insurance companies. We can put your information into our system and bring back quotes from all of these different insurers. Ultimately, you can select the lowest premium that is being offered to you, and we will always be here to provide assistance if you ever have a claim. You can also obtain flood insurance through our company, and this is something that you should certainly consider if your home is situated in an area that is prone to flooding. Auto insurance is another one of our offerings, and once again, we have the ability to conduct a cost comparison analysis to identify the lowest premium that is being offered to you. In addition to the car insurance that we can obtain, our insurers provide motorcycle insurance, boat insurance, and recreational vehicle insurance. You can satisfy all of your personal insurance needs under one roof when you work with Knight Insurance, but we are here for area business owners as well. We offer all different types of business insurance for Sunrise, Florida decision-makers, including business property insurance and commercial vehicle insurance. If you are ready to pay lower premiums, you can reach one of our Sunrise, Florida insurance agents right now if you give us a call at 954-382-5244.